This is the type of book I love to read and own. It’s a lifetime companion book; one you delve into, gain knowledge from, memorise, or just enjoy due to the language. But one you’ll never part with. It was in 1486 that the first collection of these terms was published. 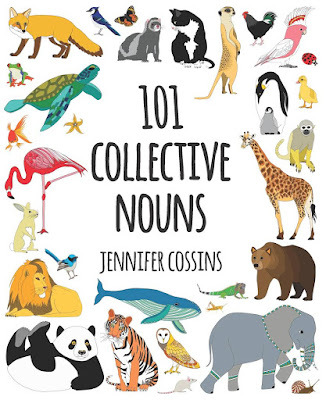 In her introduction, word lover, etymologist, writer and illustrator (amongst other talents), Tasmanian born and bred Jennifer Cossins, gives us an extensive researched history of collective nouns. This is as interesting as the entries that follow. It is well-known that there are several terms for each cluster of birds and animals. Many have been set aside with time or have become obsolete. Popular ones are still used. None are wrong or right. 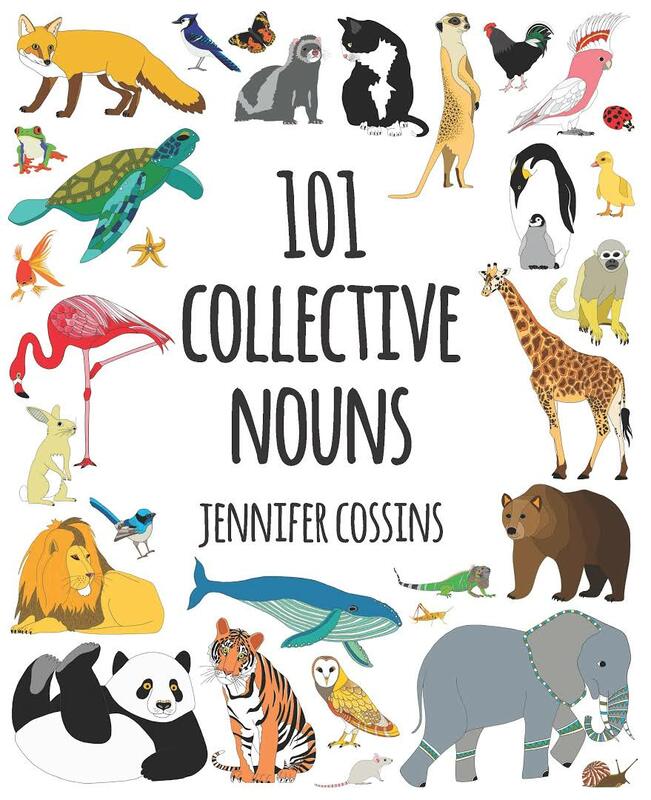 Whoever has an interest in language or collective nouns will travel through pages of alliteration, assonance, and repetition of sound. This is a book that will stimulate the brain. The contents are set out in alphabetical order. Cossins has used vibrant colour, and full page illustrations against a white background to showcase all the birds and animals. This ‘illustrated journey’ into living things and their collective names is interesting and educational. It comes in hardcover, paperback, and e-Book.